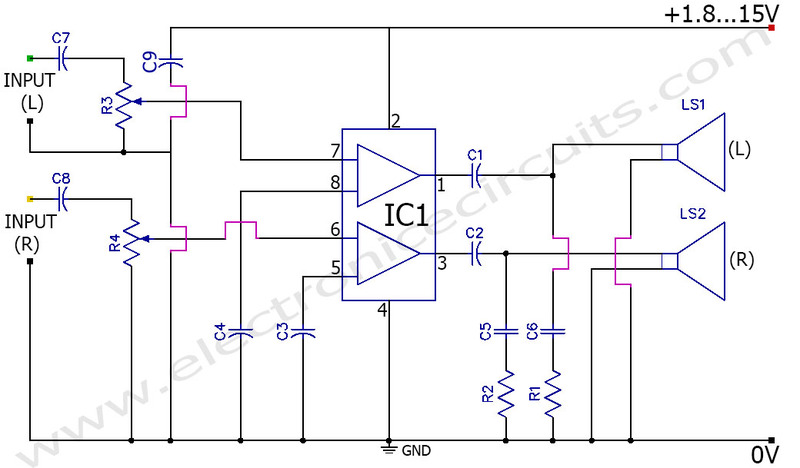 This is a simple low voltage stereo power amplifier circuit using single 8 pins IC. You can easily operate it using two battery cell. TDA2822M IC work within 1.8V to 15V. 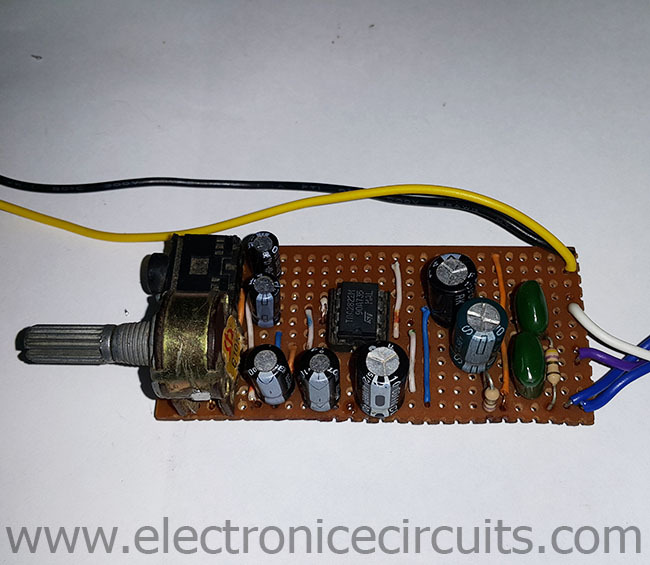 This can use for many applications like small battery powered radio, alarm, portable cassette player, headphone amplifier and more. TDA2822M is a monolithic integrated circuit in 8 lead Minidip package. 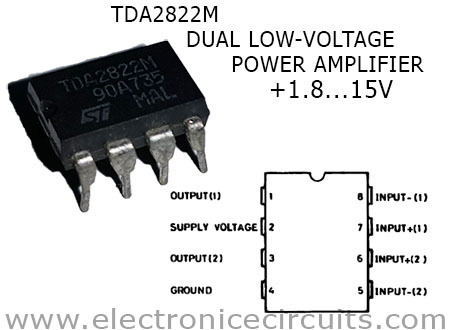 TDA2822M has Low crossover distortion, Supply voltage down to 1.8V, Low quiescent current and Bridge or Stereo configuration. R1, C6 and R2, C5 are resistor capacitor branch. They are connect between speaker out and ground to preventing oscillation and improving high frequency stability. 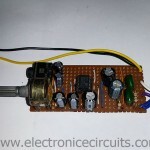 C9 capacitor use for power supply filter. 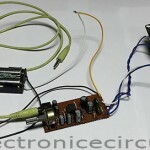 This stereo power amplifier is very simple. because you can easily assemble it using vero board. 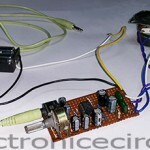 Also TDA2822M amplifier can made very small and low cost. Additionally I use 3.5mm audio port for connecting portable device. Is it ok to connect the R1/C6 and R2/C5 components directly to the IC’s output pins? I ask because I have seen circuit drawings showing both ways. Thanks.